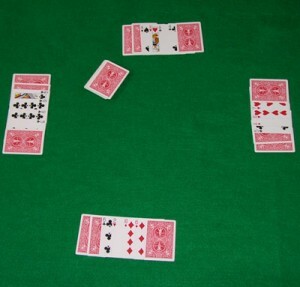 7 Card Stud is one of the most popular forms of poker. While it has become less popular after the Texas Hold’em and Omaha booms, you will still find a few games running at PokerStars. I already posted a 7 Card Stud strategy article in the past, but here are five new 7 Card Stud tips for you to work into your game. Tip 1: Play aggressive when starting with a big pair – You want to try to eliminate as many players as possible when you are starting with a big pair, because there will be a lot of different players drawing to different hands and a high pair is unlikely to hold up come showdown. For this reason you want to eliminate as many players from the hand early on in 7 card stud. Tip 2: Slow play good starting draw hands. Good 7 card stud starting hands include three to a high flush or three to a high straight. By keeping the pot small early, you aren’t risking as many chips with a non-made hand and by allowing more players to stay in the hand it builds your drawing hands pot odds. Then if you do manage to hit your draw there will be more players in the pot and you are likely to win a larger pot than you would have if you lost some customers by raising the pot early. Tip 3: Watch your opponents up cards – Your opponents up cards will give you a lot of information about your opponent’s hands, and also give you information about the likelihood of making your own hand. For example, if you need a club to complete your flush and your opponents are showing a few clubs each then you need to take this into account when calculating the odds of making your flush. Your opponents up cards are also called ‘dead cards’ and if a lot of the cards you need to complete your draw are dead it drastically decreases your chances of making your hand. Also, if you see other players with strong up card hands you should be able to tell their relative strength and this should help you make decisions in the hand. Tip 4: Don’t play three to a low straight or flush – The chances of you making your hand are slim and even if you do make your low straight or flush there is a chance that it will not be the best hand at the table in situations where your opponents have possible straights or flushes as well. Your (2,3,4,5,6) can easily be beaten by an opponent’s (5,6,7,8,9) or your 8-high flush will often lose to another players Ace-high flush. Don’t waste your chips drawing to hands that could lose anyway. Tip 5: The first four cards often determine the hand – After you receive your first four cards you should have a pretty good idea of your chances to win the hand. At this point you should likely make a decision to either fold now and cut your losses or invest in the pot and try to win the hand. This is a critical point in the hand and your decisions on 4th street will often determine whether or not you will be a winning seven card stud player. Carbon Poker is the only poker room that accepts US players that has 7 Card Stud games online. They are on the Merge Poker network, which is the largest collection of poker rooms available to the US. To be honest, the Stud games are not very popular though. Texas Hold'em and Pot Limit Omaha dominate the online poker world and it is difficult at times to find more than 2-3 active Stud tables. You will increase your chances of finding games by playing on the weekends or holidays and during popular times for US players to be awake. Carbon Poker offers all their new players a $600 bonus when they make their first deposit, but as a PokerTrikz reader you can receive a VIP offer for signing up with our links. On top of the default $600 bonus you will receive 35% cash back paid daily on every dollar of rake you pay. This will add up very quickly if you are an active player and is an much higher percentage than most rakeback offers. This article was submitted by my friend poker60950. Edits for clarity and readability have been made.